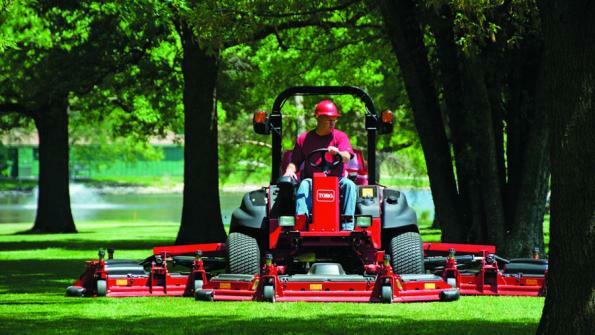 The Illinois state government has approved a statewide multi-year contract for Toro outdoor maintenance equipment. The winning firm is MTI Distributing, Inc. The Illinois state government has approved a statewide multi-year contract for Toro outdoor maintenance equipment. All state agencies, local governmental entities, private nonprofit institutions of higher education and other authorized entities can use the contract. MTI’s commercial business manager, Shane Andrews, says the contract will help Illinois, state, municipal, and other authorized nonprofit agencies maintain and enhance their respective green areas and spaces. MTI Distributing is a Toro supplier in the Upper Midwest. The firm provides products and services to the green industries. The firm offers landscape beautification solutions to golf courses, schools, municipalities, landscape contractors and independent dealers. MTI Serves North Dakota, northern South Dakota, Minnesota, western Wisconsin, Iowa, central and southern Illinois, and eastern Missouri.